Doesn’t this salad has beautiful colors in it? And it is not only pleasure to the eyes. 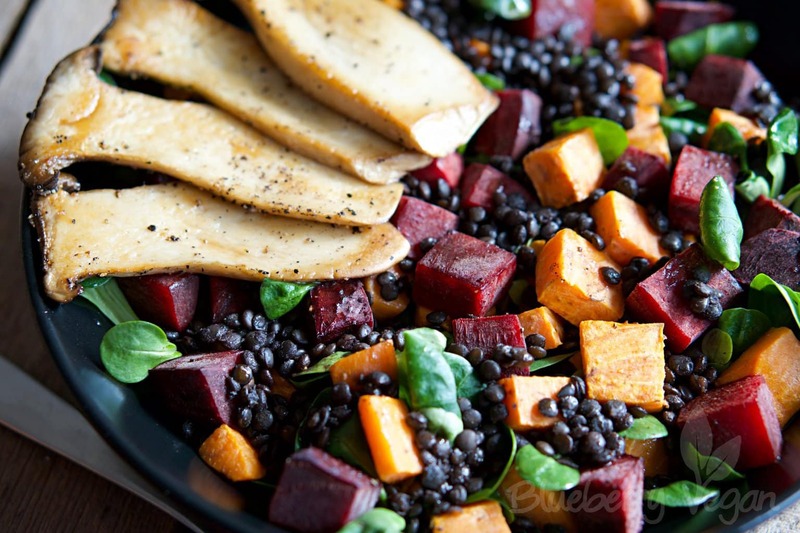 Baked sweet potato and beetroot, cooked beluga lentils and fried king oyster mushrooms combine to make a delicious salad. The dressing is a simple balsamic vinaigrette. So simple, so delicious… Enjoy! Craving more delicious salads? 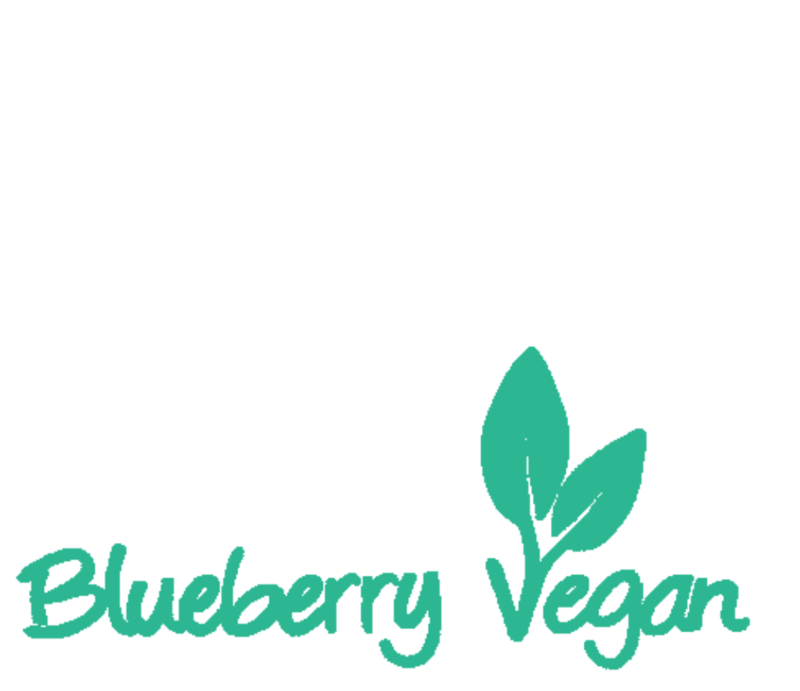 Also try baked potato salad, warm spinach salad with tahini dressing, white bean salad, asparagus rice noodle salad, salad platter with four different salads, quinoa salad with edamame, beluga lentil salad and tortellini salad. Preheat the oven to 180° C (360° F). 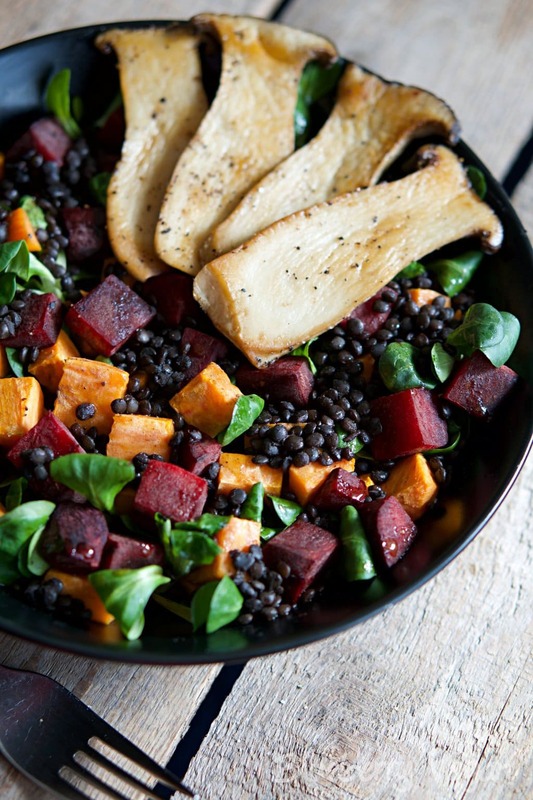 Peel the sweet potato and beetroot and cube them. Mix with some oil, salten and bake in the oven for about 20 - 25 minutes, until desired firmness. Cook the lentils in 1 1/4 cups water for about 12 minutes until firm to the bite. Slice the king oyster mushrooms and fry in a bit of oil. Season with salt and pepper. Arrange the mache on two plates. 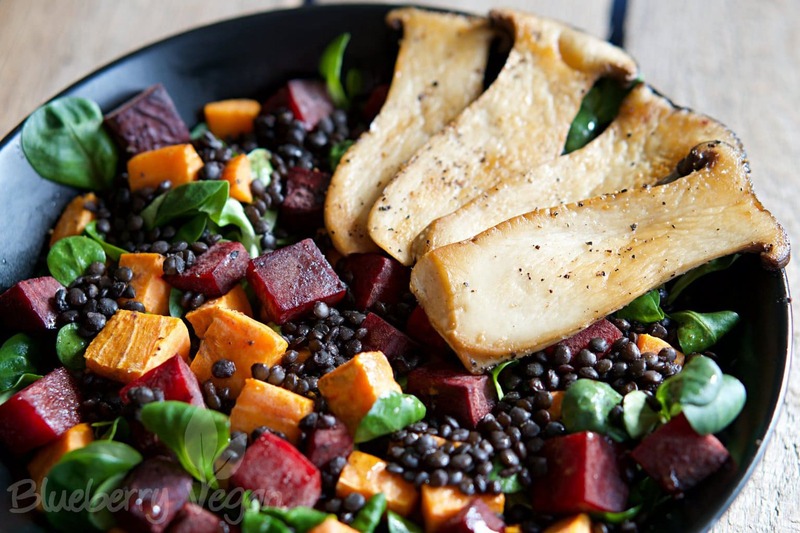 Spread sweet potatoes, beetroots and lentils over the salad. Then add the king oyster mushrooms on top. Mix all ingredients for the dressing in a blender and drizzle over the salad. When very hungry, I serve some bread with the salad. Den Salat probiere ich aus! Ich wünsche dir viel Spaß und lass es dir schmecken!